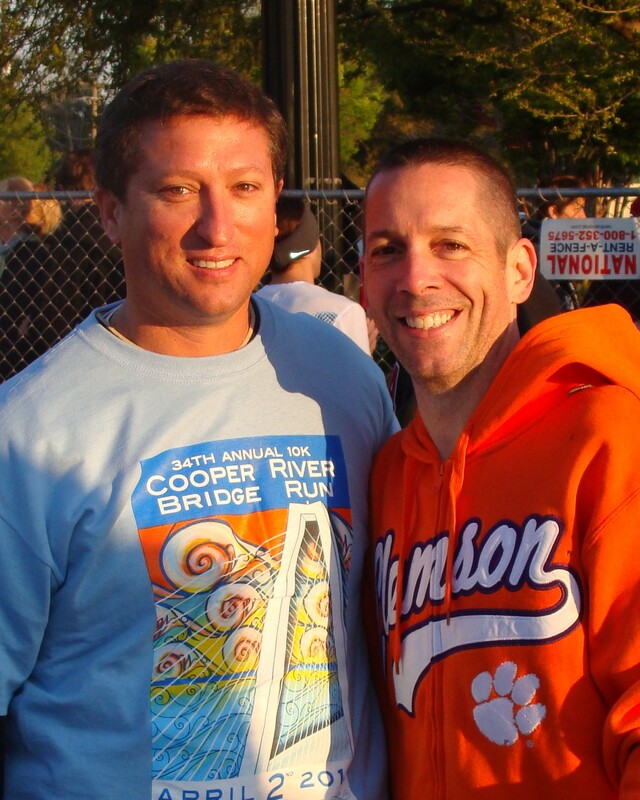 Saturday April 2, 2011 – Cooper River Bridge Run, it would be the largest Bridge Run since the inception of the race back in 1978. 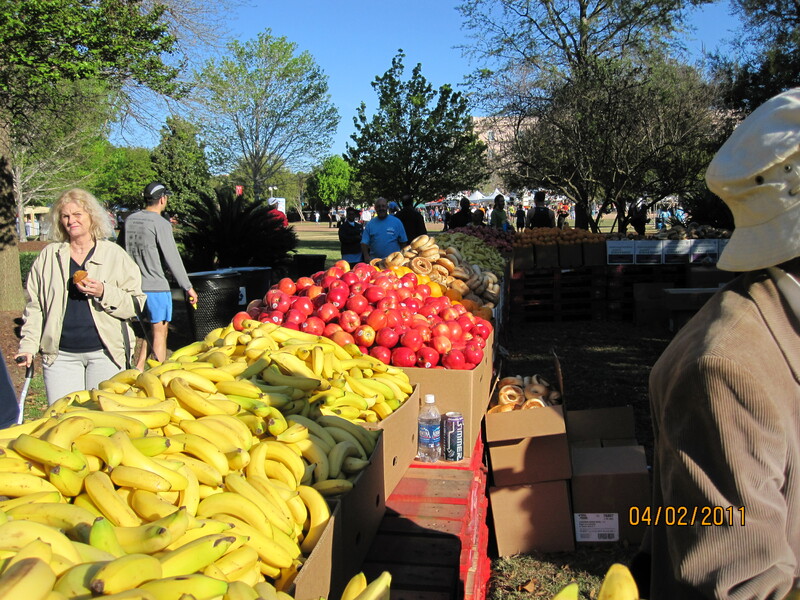 There would be 34,690 finishers on Saturday. Tucked among all of them was a runner from Austin, TX who just 24 hours before the race was not sure he should be there. My knee which I had been extremely patient with over the past 5 weeks, was still sending me signals that we were not quite ready. Without any running for more than a month I had resorted to hitting the bike hard in an effort to stay in shape. But there is a big difference between spinning the wheels cranking on the pedals of my tri-bike and some good old fashioned road work. Running in this race was very important one to me. It was a celebration of all of last summer’s speed work to earn a spot among the seeded runners at the start of the race. Even if I couldn’t run the race that I really wanted to, I felt like I deserved a chance to be out there as much as anyone on Saturday morning. While I was getting ready for bed on Friday night I decided once and for all that I would give it my best shot. If the pain in my knee returned I would either gut it out or slow to a walk. Either way I was going to try. Sometimes that is all you can do. Transportation: Dawn was kind enough to get up early with me, pack Landry into the back of the car and make the 15 minute drive from my parent’s home in James Island to drop me off downtown. She left me on the corner of King and Calhoun Street at 5:20 a.m. An intersection that roughly three hours later the leading me would power past to win the race in just under 29 minutes. I would be trailing behind them along with close to 35,000 other runners. I walked a few blocks down through the finish festival area and loaded onto one of the many Charleston area school busses that would take runners to the start of the point to point race in Mt. Pleasant. 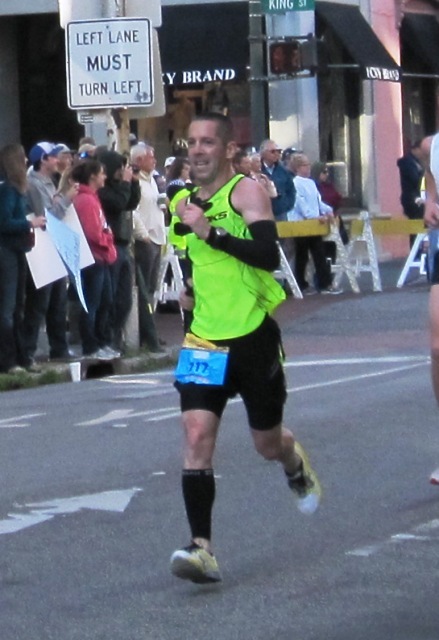 Images and memories of last April’s Boston Marathon played in my mind as I crammed into the small seat next to a runner named Jenny from West Ashley. We chatted about the race and she asked me what kind of time I was hoping to run. I told her that I did not have a firm goal for the race. I honestly could not remember the last time I showed up to a race without a specific goal in mind. Perhaps it was November 19, 2006 at my first ever marathon. But even on that morning in Philadelphia I knew that I had hoped to run under 4 hours. Saturday I just wanted to finish the 6.25 mile race running the best that I could. I hoped the 5 weeks of rest would allow my knee to last the race. I knew my heart and head were with me. But my body and my conditioning were certainly not primed for a big day. We made the drive over the bridge and I tried not to think too much about the 1.1 mile climb with a 4% incline. It would not be the steepest hill I had ever run. But it certainly would be the longest. The wind would be blowing in the face of the runners which 200 feet above the Cooper River below, the surface of the bridge was not going to be kind. No matter I thought. It’s not a PR day anyway. 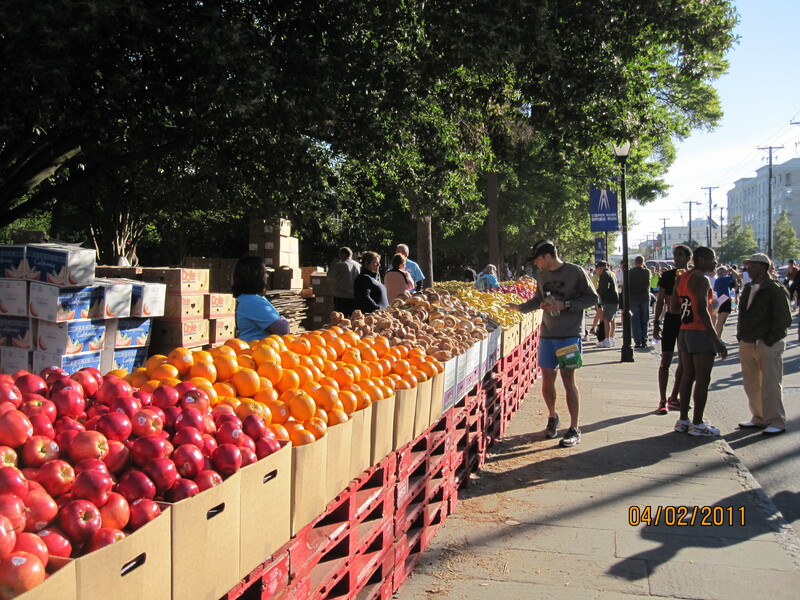 Pre Race: I exited the bus and began the walk down to the starting area. Carrying my breakfast of a Bagel, Banana, Grape Gatorade and bottle of water, I had about 2 hours to kill until the start of the race. At 7:00 a.m. I walked over to the portapotties that were next to the Elite/Seeded starting corral. This was the first year that the CRBR would use this starting strategy. Now the 3rd largest 10K in the country behind only Atlanta’s Peachtree Road Race and the Boulder Bolder out in Colorado, this was a change that was long overdue. There would be about 1,000 seeded runners who to gain eligibility had to run a certified 10K under 40 minutes within the previous 12 months. Those seeded runners would be starting along with the Elite Men and Women. As I stood in line waiting to use the rest room alongside our corral I bumped into a few of the Elite Men, including the runner who would finish second overall. We chatted a bit about the weather and you could tell a lot of nervous energy was in the air. Just then I saw my friend Jay Hart who was volunteering at the race. I was able to spend some time with Jay before it was time to shed my sweats and get loose for the race. It was great to have a friend there to chat with. The first person all morning who didn’t ask me what my goal was for the race. I had gone out and bought some “throwaway sweats” that I could wear to keep me warm waiting for the race to start. I would take them off and discard them after the playing of the star spangled banner I thought, and later they would be collected by race volunteers and distributed to those less fortunate. The only downside to this plan was the only warm, zippered sweatshirt I could find in Charleston at TJ Maxx was a bright orange Clemson Sweatshirt. Being a University of South Carolina grad, this was as close to sacrilege as I could possibly come. Jay’s brother Bobby snapped a picture to document me in that horrible Orange sweatshirt. It was the first and hopefully last time anyone will ever see me in such a ridiculous article of clothing. 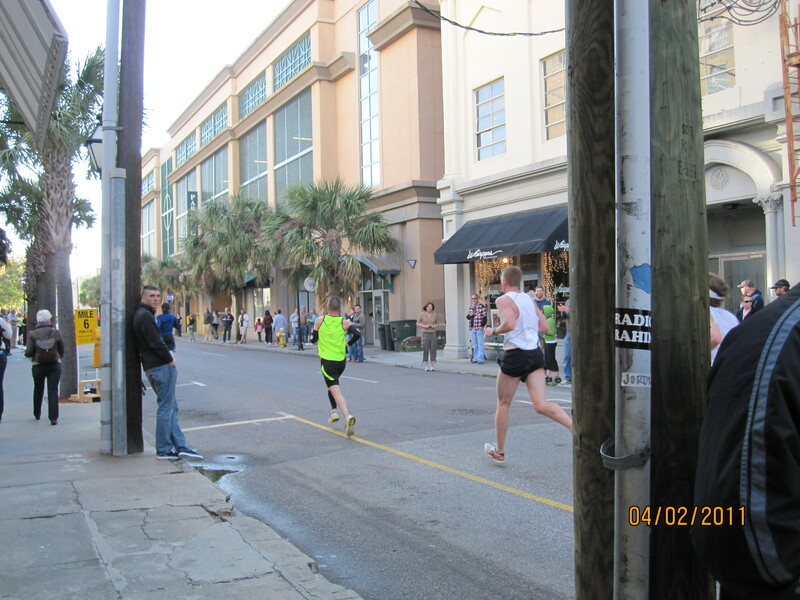 As the start of the race approached I noticed a tall runner standing alongside me in a Carolina Sweatshirt. He nodded to me and I leaned over to tell him that I was in fact a Carolina grad, and was only wearing the Clemson sweatshirt so I could throw it to the ground in a few minutes. He laughed out loud and told me he understood. A few minutes passed and over the loudspeaker the race staff was starting to crank up the music to pump up the runners. The song from 2001 a space odyssey came on. The very song that the University of South Carolina Football teams enters the playing field at all home games through smoke and cannon fire. It is one of the truly great “entrances” in College Football and I could not stomach the Clemson sweatshirt a second longer. Even though there were 10 minutes left to “go time” – I calmly took off the sweatshirt, balled it up and shot it basketball style over the corral wall. The other Carolina runner high-fived me and I took my spot among the runners. Instead of crowding close to the backs of the elite men, I hung back about 8 rows or so, knowing that I would not be able to go out at 5:55-6:00 min./mile pace as I would normally at a 10K. I thought something about :20 slower would be appropriate given my lack of recent activity. Jay was able to snap a much more appropriate pre-race photo below. When I look back at these shots today it is apparent that I made the right decision to run. Those were not smiles that were forced for a camera. I was truly happy to be out there doing something that I love to do. I was a runner again, participating in one of the largest 10K races in the country. Fast or slow, it really didn’t matter. I was there to do my best – whatever that meant. With no expectations of running a PR or a specific goal, I was free to literally smell the roses. The Start: As I normally do I crouched down under the craziness and ran my fingers across Dom’s initials on my shoes. I thought of him and how much I think he would have admired me for trying on Saturday. I stood back up and looked behind me to the more than 34,000 runners to the rear. I could not see the end of the humanity, I had not seen anything like it since Boston last April. With a crack of the gun we were off and I fell in smoothly next to a runner who told me he was going to lock in at 6:15 pace in the starting area. I thought that would be a good place to start to see how I felt. Whether it was the power of race day excitement, or just pent up energy from such a long break from running, but it felt like I was floating along at a smooth, comfortable pace. I was monitoring my knee as we went, and although I could feel “something” going on down there, there was no pain. Could it be that I had finally gotten past that irksome inflammation and was back on track? Or would the pain resume when I reached the two mile mark as the incline of the bridge began? The first mile seemed to fly by as spectators cheered for the runners along Coleman Boulevard. I was running without any music and heard my watch beep easily at mile one. 6:12 at the end of the first mile. Huh, not too bad I thought. As we got to the 1.8 mile point there was a water station on the left. I thought it wise to grab a sip of water as there would not be another opportunity to drink until we crossed the 2 mile long bridge. I grabbed, pinched, sipped, swallowed and pitched the cup without breaking stride. Some things I guess you don’t forget. 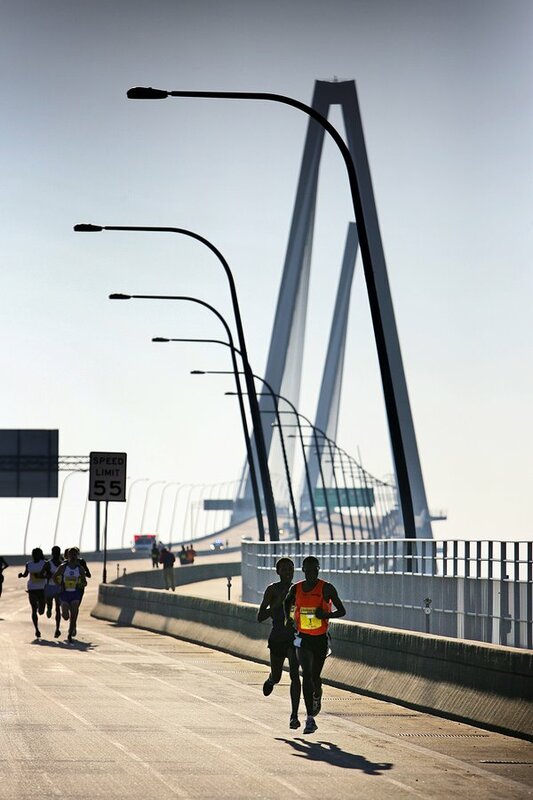 The Bridge: The incline to the Ravenel Bridge starts about 2/10 of a mile before the mile 2 mark. We hit what is usually the “off-ramp” into Mount Pleasant and started on the way up. Man was this steep and long I thought as I gazed up. After just 2/10 of a mile my watch beeped to mark mile 2. That seemed about right as we were now climbing and my effort felt like we were in the 6:20 range. The wind was now blowing stiffly straight into the face of the runners on the climb to the top. I looked briefly for someone to draft with, but I would have to speed up to catch them. I was leading a pack of runners, but they were all just behind me. No matter I thought, we’re not running for time. I glanced down at my watch a couple of times to see what kind of pace we were holding. I tried to lock in on what I felt was “half-marathon effort” or 6:30/6:35 pace and let the wind and the bridge dictate time. As we crested the bridge after a 1.1 mile climb I could see the 3 mile marker come into focus. 7:16 pace said the watch. When I saw the “7” I had a small down moment. A race like this really should have played to my strengths with all of my recent hill work. I just wasn’t “myself” after the time off. Not a single runner passed me on the climb, but I had only passed two myself. The good news was I hardly noticed my knee. Down the bridge: It was now time to race down the other side of the bridge. Under normal circumstances I would have put the hammer down a bit and lengthened my stride to take advantage of the downgrade. I knew that lengthening my stride going downhill would put more pressure on my knee as I landed. Words of wisdom from my good friend Steve Spiers came all the way to me from Virginia Beach, “Take it easy out there o.k. ?” he had written to me on Friday. I decided to leave well enough alone and not take any chances. Just keep the same stride as it was working and let my pace even out. Just off the bridge we hit downtown Charleston at the 4 mile mark. Just 2.25 miles to go. At the beep mile 4 came in at 6:32. No chance for another sub 40:00 time at this point which requires a 6:26 pace, but I did think that I could possibly break 41:30. Last summer leading up to IBM where I ran my 38:06 PR, my only other 10K was a 41:06. A time of 41:30 would be a pretty solid effort given the circumstances. As I made the turn into downtown and grabbed a quick sip of water I pulled alongside a runner who appeared to be pacing his daughter. I asked and in fact it was his daughter Michelle, who he also coached on her High School cross country team. We ran alongside for the next mile and I found that although my conditioning was obviously not where it was coming out of the Austin Marathon, we could still chat easily. I also knew that I was not pushing as hard as I normally would at this point of the race, or I would not be able to talk with him. No matter, this was what the race experience for us should really be about I thought, especially during my return to running. We talked about coaching young runners, he asked me about Austin. We estimated how much time the wind on the bridge cost the runners today and of course the closing stretch which was going to be approaching shortly. The final stretch along King Street to Wentworth and then on to Meeting Street would be packed with loud spectators cheering on the runners. Mile 5 came in at 6:33 pace. No pain from my knee. I ran with my new partner to Calhoun Street. His daughter was falling off the pace and we were slowing. I said goodbye and started to get back on track. Dawn was alongside the course and was able to snap this photo as I first caught a glimpse of the 6 mile sign. The smile on my face says it all. I was back. I hit the turn on Wentworth Street and turned left onto Meeting. Let’s see if we had any kick I thought. I cranked it up and my last ¼ mile came in right at 6:00 minute pace. I hit the timing mat with a time of 41:12 officially – 6:35 pace overall. Slower than the 6:23 I ran at the 3M half Marathon and much slower than the 6:08 I ran at my last 10K – but all in all, I’m not sure I really could have pushed it much harder. 375th overall, 37th Age Group. Out of my three 10K races I have completed this was my slowest by :06 seconds. Amazingly, I was 100% “cool with that”. This morning as I fly out of Charleston and my knee is not swollen or bothering me at all I am even more so. Now I wouldn’t be a “runner” if I didn’t admit that I looked to see where I would have finished if I had run closer to my personal best on Saturday. A time of 38:10 would have earned me a 165th place finish, 25th in my age group. Hey, there’s always 2012 right? 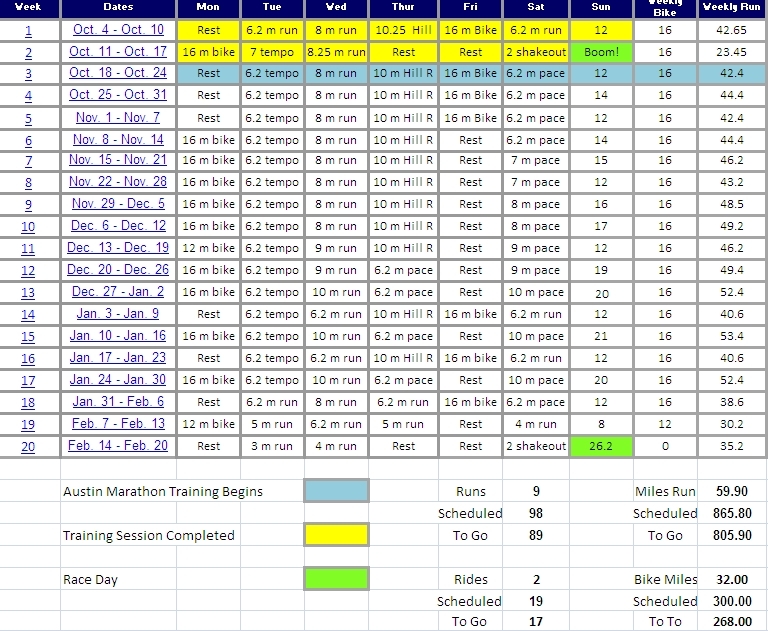 I have a feeling that I will be back and better than ever as next year the race will fall just three weeks prior to the 2012 Boston Marathon. It would be a perfect tune-up race for our return to Boston. Dawn, Landry and my niece Linda showed up to greet me at the finish line which was a great surprise. Uncle Joe and Linda - Why couldn't I be that tall? What followed was one of the largest and most wonderful post-race spreads I have ever seen. The race which was sponsored in part by the grocery store Bi-Lo pulled out all of the stops. I really don’t know how to do this justice as the food went on in four directions taking up the length of a city block. 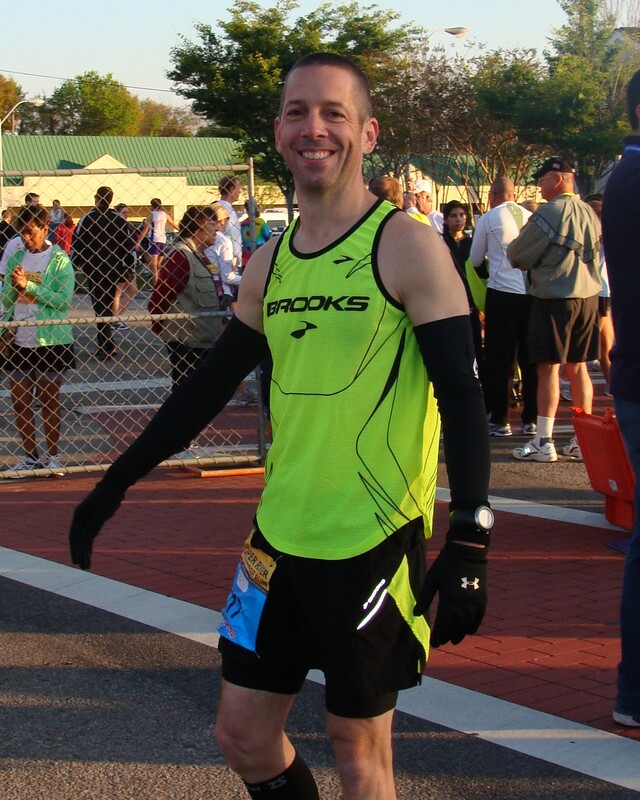 So there would be no age group awards or a 10K PR on Saturday – but I was in high spirits post-race. I was able to make the trip to visit with family and friends and participate in an amazing event. 374 runners were better than I was on Saturday, that fact cannot be disputed. But I’m not sure too many of them had more fun out there racing than I did. I’ll call it a win, but watch out next year. Much like my first experience running Boston, I learned a lot on Saturday. I will be a very different runner the next time I hit that timing mat to take on the CRBR and the Ravenel Bridge. Glad to hear the knee is back on track. Glad Landry is feeling better also. Was a great day all the way around Momma S.! So great to see Landry back playing and having some fun. She’s had a rough go of it with the cold and ear infection. I can only imagine what she’ll pick up this week at school! Great job Joe! You look so incredibly happy in those pictures!! Welcome back to the wonderful world of running! I know you missed it! Thanks Jodi! Would have loved to have not had to miss the last 5 weeks of preparation, but it certainly made me miss running and racing. Once I’m really back 100% I feel sorry for the next few races, I’m going to train harder than ever. I love the humility coming through on this race report Joe! Not your best time, but you’re pain free, and you had fun! Great work, and I’m sure I’ll see you back racing full strength again soon! David – thanks for stopping by and for the message! You rock. Glad to hear you had a successful race Joe, with no knee pain. It’s great you were able to have fun and enjoy your race! Hey Matt – thanks for the visit! So great to hear from you. Was really a lot of fun out there. I think next time around we’ll have some different goals, but as for this Saturday, it was all about being healthy and able to compete. Great race if you ever get a chance to get down there for it. Two thumbs up! hey, found your blog just searching around the bridge run! congrats on a successful run—i ran it as well… hope you continue to have success and happy running! Kimberly – thanks so much for the visit and the message! 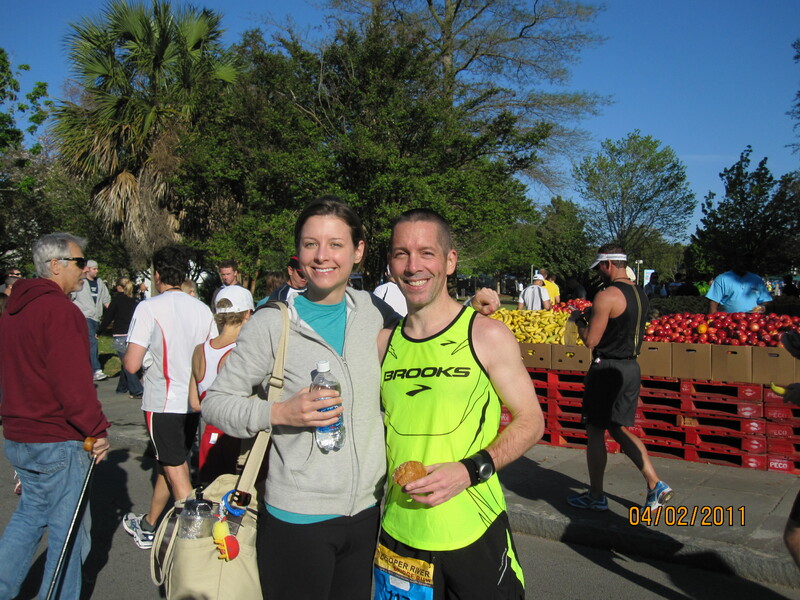 You ran an incredible race on Saturday – Congrats! I see that you are from W. Chester, PA – I grew up in Ardmore and went to Lower Merion High about a million years ago. I think having fun without pain is definitley a sign of a winning race!!! Hi Jill! Thanks for the message – no doubt about it right? Funny as I felt as fresh as I ever have running a “short race” – I definitely had a lot more in me on Saturday, but was just too scared to push it. Hopefully by the time the Holland Race comes around in June I’ll be back 100% ready to rock. Take good care! YAY! You did great! 374 runners were better than you but you killed 33,160 others! That’s nuts! Keep it up! Yep – was a pretty good day all the way around. I tend to always look ahead of me and not behind after a race, but it was nice to finish what I started for sure. Take good care and thanks for all the great encouragement. I’m running it with you next year…in under 50 minutes. And dont worry about the height. Remember Prince is a short little guy too – and look how awsome he is! That is a date Linda! You give me hope, Prince is pretty awesome. Great seeing you and the girls! Great race report I was there too I really enjoyed the wind on the bridge. Not. Judging from our splits that bridge took the same life out of our pace. Great photos. do you have your own blog photography team? Way to work on the weekend. Back to Charleston We Go ….